Yale University Press, 9780300181708, 168pp. "She couldn't have done it and she must have done it." 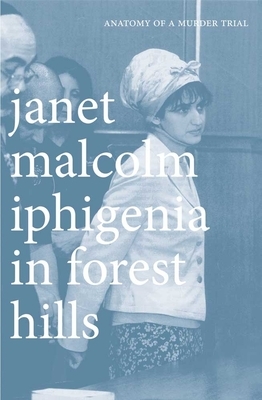 This is the enigma at the heart of Janet Malcolm's riveting new book about a murder trial in the insular Bukharan-Jewish community of Forest Hills, Queens, that captured national attention. The defendant, Mazoltuv Borukhova, a beautiful young physician, is accused of hiring an assassin to kill her estranged husband, Daniel Malakov, a respected orthodontist, in the presence of their four-year old child. The prosecutor calls it an act of vengeance: just weeks before Malakov was killed in cold blood, he was given custody of Michelle for inexplicable reasons. It is the "Dickensian ordeal" of Borukhova's innocent child that drives Malcolm's inquiry. With the intellectual and emotional precision for which she is known, Malcolm looks at the trial—"a contest between competing narratives"—from every conceivable angle. It is the chasm between our ideals of justice and the human factors that influence every trial—from divergent lawyering abilities to the nature of jury selection, the malleability of evidence, and the disposition of the judge—that is perhaps most striking. Surely one of the most keenly observed trial books ever written, Iphigenia in Forest Hills is ultimately about character and "reasonable doubt." As Jeffrey Rosen writes, it is "as suspenseful and exciting as a detective story, with all the moral and intellectual interest of a great novel." Janet Malcolm is the author of Two Lives: Gertrude and Alice, which won the PEN Biography Award, The Journalist and the Murderer, The Silent Woman: Sylvia Plath and Ted Hughes, Reading Chekhov, Burdock, and other books. Malcolm writes frequently for the New Yorker and the New York Review of Books. She lives in New York City.